Timothy Chao who has presided over many TV shows will be the leading actor in the classic Taiwan drama "Our Town," which is based on an award-winning play by Thornton Wilder. Timothy Chao (left) shares with local audiences his understanding of theater at the Daning Theater. 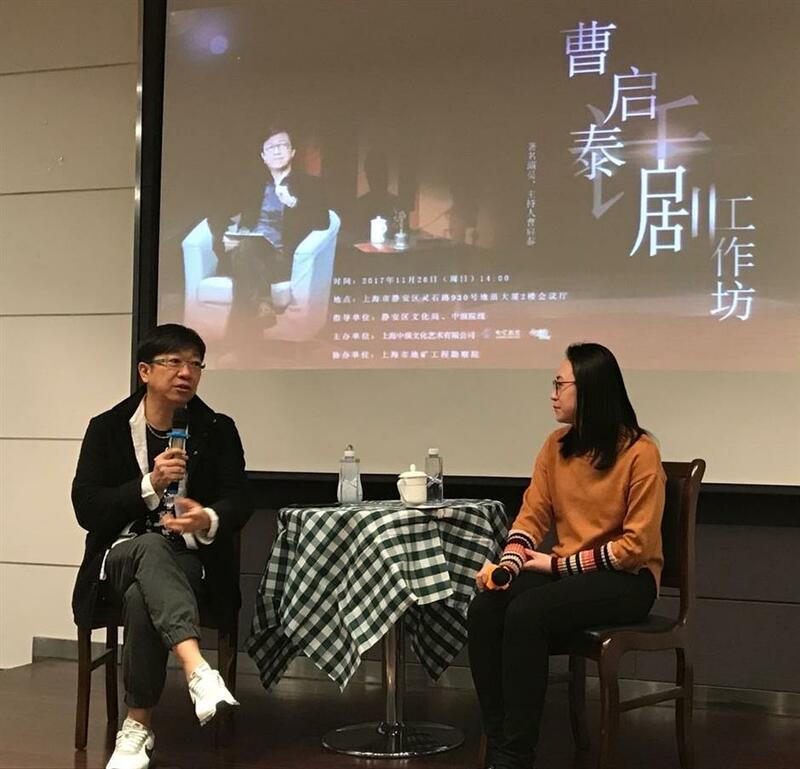 Celebrated Taiwan talk show host Timothy Chao (Chao Chi-tai) talked with local audiences today about the classic drama “Our Town,” as well as his understanding of theater. Based on the Pulitzer Prize-winning work of the same of name by American playwright Thornton Wilder, the drama is about the everyday life in a fictional small town. Chao will play the lead role in a new version of the drama late next month in Shanghai. Ever since its launch in 2016, the program has hosted dozens of free salons, lectures and workshops. Among the speakers were famous artist Chen Danqing, writer Bi Shumin, scholar Zhou Guoping and Hong Kong novelist Amy Cheung. “Our Town” will be staged at Daning Theater on December 28-29. Timothy Chao will play the lead role in "Our Town."